Three more donor nations ask govt to return funds Publish Date: Jan 29, 2013 newvision By Vision Reporter Norway, Sweden and Denmark have followed Ireland’s lead and asked Uganda to return the money which was allegedly misappropriated by government officials. An investigation by the Auditor General found that $13.4m (about sh35b) in aid had been diverted from the northern Uganda reconstruction programme and misappropriated by officials in the Office of the Prime Minister. The principal accountant, Geoffrey Kazinda, has since been interdicted and charged. Scores of other officials have also been interdicted over the scam. Norway, Sweden, Denmark, Ireland and Britain froze their aid to Uganda after the scandal was revealed. The AFP reported yesterday that following Ireland’s announcement in November that Uganda had pledged to return four million euros of Irish funds, the three Scandinavian countries have all asked to be reimbursed by the Ugandan Government. AFP said Norway is only asking for a partial refund, since its aid was paid into a special account that made it easier to identify fraudulent transactions. “We have asked to be repaid 23 million Kroner ($4.2m) and we have been promised that we will be refunded,” AFP quoted Astrid Versto, a spokesperson for the Norwegian minister of international development, as saying. Unlike Norway, the other countries had transferred their funds into a joint account, making it harder to trace the money, she added. Prime Minister Amama Mbabazi last year promised that the Government would refund the stolen donor funds. Subsequently, the money from the Irish government was refunded. COUP NOT POSIBLE, SAYS BRIG. GGWANGA Brig. Ggwanga. Brig. Ggwanga. 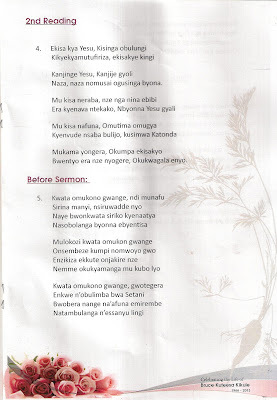 By JOHN TUGUME Posted Tuesday, January 29 2013 at 02:00 In Summary Forget it. President’s adviser on security says coup won’t happen but the military will target the corrupt. Ggwanga has joined a growing list of senior officers who have denounced talk about a possible army take-over, saying problems of the 21st century need brains and not guns and bullets. Brig. Ggwanga, President Museveni’s adviser on security in Buganda, said people should not be worried about comments made by the Head of State that the army could take over if what he called “confusion” continues in Parliament. “We are in the 21st century. You just don’t talk about military rule. If you want to tangle with (US president Barack) Obama, talk about military,” Brig. Ggwanga told this newspaper during an exclusive interview he requested on Sunday. The President reportedly alluded, two weeks ago, at a ruling party retreat in Kyankwanzi about the UPDF taking charge of government. Brig. 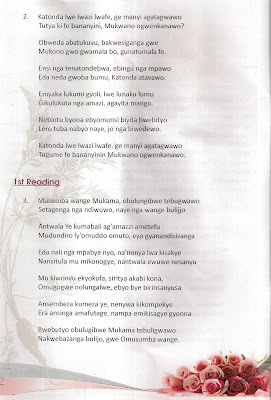 Ggwanga said: “We, the military taking over? No way. May be what the President did not tell you is that we [the military] will go after his people … may be the President was quoted out of context.” The senior soldier added: “We did our work, fought the war, and handed the government to civilians. But these civilians are betraying us through corruption. This is where we shall step in to lock up all those accused of misusing the taxpayers’ money.” Asked what he meant by Museveni’s people, Brig. 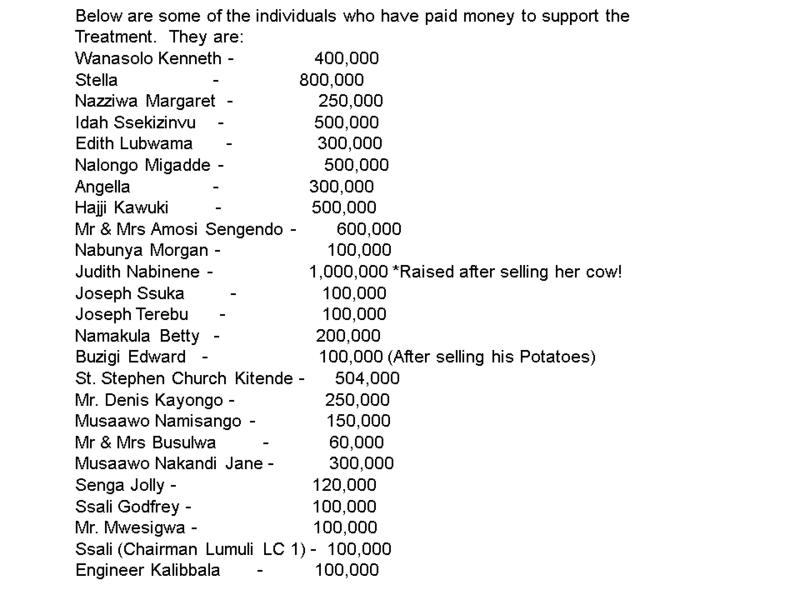 Ggwanga said: “Look at those ministers siphoning money to private use. You think we are not watching? We have decided that whichever corrupt official gets bail, we shall take them to the military prison. They are let free to go and tamper with evidence and the next thing you hear is they are innocent.” Last evening, Presidential Adviser on the Media John Nagenda also ruled out the possibility of a coup. The army spokesman yesterday dismissed the take-over talk as “something manufactured by the Monitor boardroom”. “No one has talked about a coup,” Col. Felix Kulayigye said, before he hang up the phone. Brig. Ggwanga said like-thinking colleagues were anxiously waiting for the Ssimbwa Bill for them “to jump into action”. Makindye East MP John Ssimbwa has proposed in a private member’s Bill that whoever is found guilty of corruption should have their property or that of their immediate relatives confiscated to recover the abused funds. The Bill is yet to be discussed. Brig. Ggwanga said the NRM MPs are to blame for the poverty in the country. “Look at the NRM manifesto. Agriculture should be prioritised and more jobs created for our youth. The MPs have gone astray...” he said. “I hear them taking about punishing rebel MPs. That’s crap. Ugandans need food on the table, they don’t understand politics,” he added. 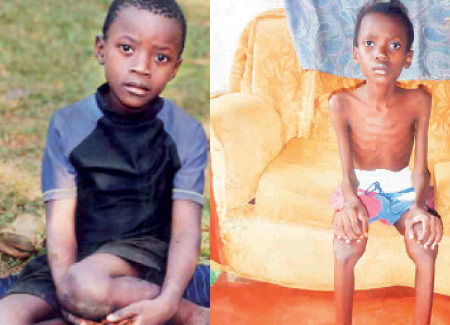 WHAT CAN BE DONE TO HELP THE MANY WHO NEED MEDICAL SERVICES BUT HAVE NO RESOURCES? 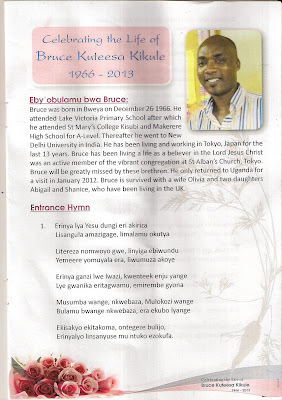 UGANDA SO UNFORTUNATE TO HAVE MUSEVENI AS ITS LEADER? Kenya is surely millions of miles away from Uganda, and that is why it is registering positive growth. To have a leader of the calibre of Kibaki is what Uganda will continue longing for. The childhood dreams of Museveni which unfortunately worked out are the reason why Uganda has lag on. Surely, as long as Museveni imagines that he is the single BULL in Uganda's kraal, the more the country will be destined for a failed state. It is sad, but those are our leaders! William Kituuka Kiwanuka --------------------------------------------------------------------------------- Kibaki bids farewell to Kenyans Publish Date: Dec 19, 2012 newvision By Vision Reporter and Agencies Kenya president Mwai Kibaki has delivered his last address to Parliament at a special sitting as he heads into retirement, reports the Daily Nation. The speech was Kibaki’s last address to Parliament as head of state as he winds up his ten-year term as President since being elected into office in December 2002. "My name will not be on any ballot paper. I wish all of you (MPs) all the best as you vie for the various seats," Kibaki said in his speech. During the Jamhuri Day celebrations last Wednesday, President Kibaki highlighted his legacy including strengthening the economy and infrastructural development. As he concluded his speech he donated a book to parliament highlighting his political career, and thanked the electorate of "Othaya and Kenyans for their faith in my ability to lead them all these years." Kibaki hailed the parliament for their cooperation during his tenute of office. "Your legislative achievements have earned you (MPs) a place in Kenya's history," Kibaki said. He also left the electorate a message: "It is critical that Kenyans are led by competent leaders with high moral standards. I urge Kenyans to vote wisely for men and women who will sit in the Senate and the National Assembly," he said. Winding up his address, he said: "I extend my blessing to the next Parliament." Several MPs delivered speeches hailing Kibaki for the good work he has done leading the country and wished him a happy retirement. Kenya heads into general elections next year in March and the 81-year old leader will not be standing again. Kibaki Bids Tanzanians FarewellKENYAN President Mwai Kibaki has bid farewell to Tanzanians as he inaugurated the head offices of the East African Community in the city of Arusha. 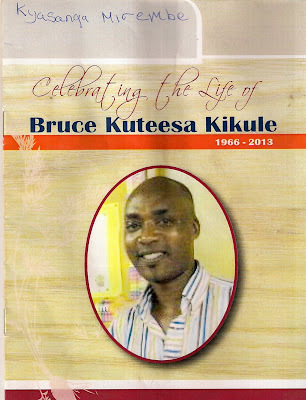 This was his final task in his capacity as chairperson of East African Community's heads of State Summit. President Kibaki inaugurated the newly constructed EAC building on behalf of the other four presidents, including Tanzania's President Jakaya Kikwete, who witnessed the inauguration event. Mr Kibaki will hand over the EAC Heads of State Summit leadership to his Ugandan counterpart, Mr Yoweri Museveni, during the 2012 Heads of State Summit Meeting in Nairobi, Kenya, this weekend. Mr Museveni, as well as Rwanda's President Paul Kagame and Burundi's Pierre Nkurunziza, did not attend the Arusha function. The Kenyan Head of State is left with only three months in office. He will be replaced by a new president early next year when his country holds its general elections. Mr Kibaki, who has accomplished his maximum 10-year term in office will not contest. "The EAC building we are opening today should be an edifice of the several milestones that the community has undergone, including the accomplishment of the common market protocol, regional customs union and the expansion which saw EAC grow from three to five member states," said President Kibaki. He, however, pointed out that a lot more needs to be done including improving and adding more infrastructures such as roads, railways and electricity supply at regional levels. The just unveiled East African Community Headquarters' premises here has, on the other hand, set a record for being the first project to be realized in time with a saving of 3.3 billion/-. The planned budget for the construction of the state-of-the-art, East African Community Headquarters was 30.2 billion/- but the project works, according to the EAC Senior Estate Management Officer, Dr Phil-Makini Kleruu, has taken slightly over 26 billion/-. "The EAC headquarters' premises should go down the annals of history as an exemplary project which has managed to save 3.3 billion/- from the initially planned budget in addition to being completed in time," said Dr Kleruu. The new EAC structure consists of three wings and each block has four floors with a central podium that is intended to serve as the chambers for the East African Legislative Assembly but judging from recent sessions held there, the podium is already too small for the task. The building stands on a ten-acre Plot number 12 of Block 111 in the Sekei Ward of the city next to the Arusha International Conference Centre (AICC) which was coincidentally constructed by the former EAC which collapsed in 1977. Starting out as tenant to the now Parastatal Arusha International Conference Centre, the EA community secretariat used to pay annual rents amounting to US $450,000 which is nearly 600m/- to the Arusha International Conference Centre where it had set up a number of its offices. The EAC was also renting additional office space and paying additional rents to the New Safari Hotel Building and the Diamond Trust complex where it has outsourced tenancy due to limited space at the AICC. The Federal Government of Germany granted the community funds for the construction of its own premises when the project was announced back in 2006 but had to be shelved after it became apparent that the initial funding was inadequate and the EAC had to apply for more grants. Germany granted the EAC 14 million Euros equivalent to 30.2/- billion for the construction of the community's headquarters. On a serious note, Uganda is a sad story. When it comes to a depreciated currency which makes efforts of many useless, Uganda has a Gold Medal! Talk of disguised owners of arcades while more important buildings housing our embassies are rotting away! It is no surprise that these fellows see it best to capture their own Government! 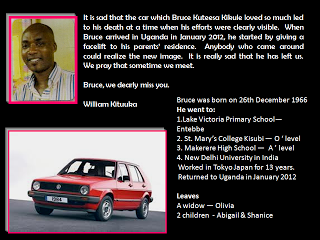 Uganda is a sad story. I feel unlucky to have been under Museveni's leadership for so many years. His 'dreams' will get Uganda into a ditch which only God may help, otherwise many Ugandans in responsible positions have been compromised and it remains only PRAYER to help us out of the sad situation! William Kituuka Kiwanuka ---------------------------------------------------------------------- Uganda’s embassies waste away as mission staff plunder millions. 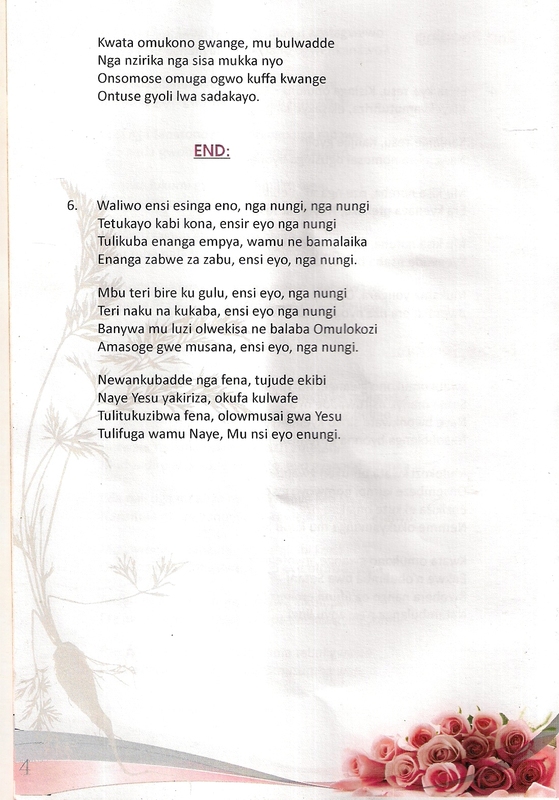 Publish Date: Aug 10, 2012 Uganda’s embassies waste away as mission staff plunder millions. The building housing Uganda’s embassy in Washington. Most of Uganda’s missions are operating in buildings that have been condemned. By Moses Walubiri The state of Uganda’s 29 embassies in different capitals is an embarrassment to the nation, the Auditor General has revealed. In his report for the financial year 2010/11, the Auditor General lays bare not only a string of accountability and procurement flaws, but also the near condemned buildings housing Uganda’s missions abroad. The report highlights the challenges and indignity facing Ugandan Foreign Service officers operating from facilities that have long been condemned by the authorities in those cities. RISKS Ugandan missions in Brussels, Dar es Salaam, Ottawa, Copenhagen, Paris, Rome, Abuja, Pretoria and New Delhi are run in buildings that could be condemned soon, according to the report. It notes that Uganda risks losing prime property, if it fails to urgently repair its mission buildings in Ottawa, Copenhagen and Brussels. “The mission stands to lose property in Brussels if funds are not availed to construct a new building within a specified time period. The chancery building in Ottawa could also be demolished if repairs are not done urgently,” reads the report. The ambassador’s official residence in Rome at the time of the audit reportedly had no curtains and the furniture belonged to the landlord. The Auditor General noted that a huge chunk of foreign mission budgets is spent on rent, where Uganda does not own property. Efforts to develop plots donated to Uganda in prime locations in Beijing, Abuja and Riyadh have hit a snag due to financial constraints. In Dar es Salaam, one of the mission’s three properties that were swapped for properties in Kampala may be condemned soon. The report notes that a proposal by a private developer to build 24 apartments on the mission’s plot in Dar es Salaam, has not yet been cleared by authorities in Kampala. The developer proposed to give 10 apartments to the mission and sell the 14 to recover money from the investment. In Pretoria, the ambassador’s official residence requires $386,981 (about sh958m) for repairs. However, the ‘poster child’ of dilapidated missions seems to be the former chancery building in Kinshasa, which was vandalised during instability. Although the building does not have windows, doors and a sewerage system, the Auditor General says Uganda can rake in millions in rent, if it takes advantage of the construction boom in Kinshasa. OVER SPENDING The Auditor General expressed concern over accountability queries ranging from wastefulness of funds by mission heads through committing the Government beyond mission budgets, spending non-tax revenue without approval from the treasury and flouting procurement rules. One such questionable expenditure was the renovation of the official residence of the mission head in Washington at $1.2m (about sh2.4b), after the initial cost was estimated at $394,150 (about sh975m). The Auditor General also raised concern over $220,709 (sh546m), which was spent on furnishing the ambassador’s residence. Also in contravention of the Public Finance and Accountability Act (PFAA) 2003, a host of missions spent over sh2b in non-tax revenue (mainly from visa fees) at source. Accounting officers are expected to adhere to budget allocations per vote or obtain permission prior to making any amendments to the approved budget in line with the PFAA. The report cites the Washington mission as the biggest culprit in flouting the PFAA. The mission claims of having remitted sh1b in non-tax revenue to the consolidated fund was not backed by an acknowledgement receipt from the treasury. The embassies overshot their budgets by sh1.1b, with the mission in Kinshasa (sh341m) and Canberra (sh183m) being the worst offenders. FLOUTING RULES The report also noted that most missions flouted guidelines governing procurement. The guidelines require each mission to procure goods or services in accordance with its approved budget. Missions in London, Dar es Salaam, Ottawa and Moscow carried out ad hoc and direct procurements to the tune of sh301m. In Guangzhou and New Delhi, contracts of three officers, including a high commissioner, had long expired although they continued to execute their duties. In Berlin, the mission had two unqualified staff on the payroll. “Most embassies do not even celebrate national days, or fly the flag of the country. They claim there is no money, yet a few people get the money and abuse it,” said a source. GOVERNMENT REACTS Government has moved fast to crack the whip on erring Foreign Service officers by recalling them. 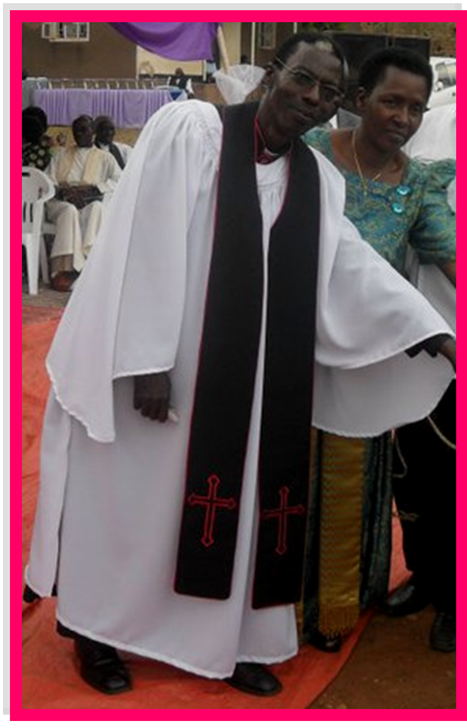 “The Kinshasa mission accounting officer has been recalled over a host of issues. His case has been committed to the ministry’s disciplinary committee,’’ James Mugume, the Permanent Secretary in the Foreign Affairs ministry, said. ‘‘If there is anything criminal, he will face the law,” he added. Sources told Saturday Vision that Foreign Service officers from six missions including Brussels could also be recalled to face disciplinary action over accountability issues. WAY FORWARD MP Jack Wamanga says replacing career diplomats with political appointees has messed Uganda’s missions abroad, adding that many of them do not know what they are doing. The foreign affairs committee chairperson, Alex Byarugaba, called for a sustainable source of funding and housing for the missions. Mugume said: ‘‘It is criminal to use non-tax revenue at source without approval of the treasury even amidst financial challenges.” ---------------------------------------------------------------------------------- Foreign Affairs minister decries state of Ugandan Embassies Publish Date: Jun 22, 2012 Foreign Affairs minister decries state of Ugandan embassies Oryem says it is hard to do his duty with the budget limited to domestic travel newvision By Mary Karugaba Any further cut of the ministry of foreign affairs budget will blight the already tattered image of the country, State minister of foreign affairs Okello Oryem has warned. Oryem stunned MPs on Budget Committee of Parliament when he narrated that it’s a daunting job to manage the country’s foreign affairs, with embassies abroad “dry on cash and the ministers’ budget reduced to domestic travel”. “Give us what is within the ceiling but that can allow me do my job,” Oryem told the committee discussing the supplementary funding to various government sectors. At the prompting of the MPs who were concerned about the poor state of Uganda’s missions abroad, the minister said the solution only lies in adequate funding. The minister appeared before the committee to defend an additional sh10b allocated to his ministry to save Uganda House in New York from demolition after it was condemned. MPs also reported that in South Africa, the ambassador sleeps with a basin in the bedroom because his house leaks. In Nairobi, the MPs said, the embassy curtains are torn while Kinshasa, India and Washington embassies are in bad shape. “The state of our embassies is wanting, the structures are old. We have no money even to celebrate Independence Day,” Oryem narrated as MPs quiet, listened. “If you could see the location of Uganda’s mission abroad, you cannot believe it,” he said adding that while embassies are supposed to be located in upscale areas (code A+), most of Uganda’s are not. “Foreign affairs is one of those major ministries but it’s left to whom it may concern. Because we are cadres, we get deployed and go on. ” Oryem told MPs that whereas he is supposed to shuttle between capitals of the world to monitor and secure Uganda’s interests, the travel budget for ministries has been cut. “My core job is to travel abroad. But how do you travel when the budget has been slashed and reduced to internal travel?” Oryem asked. He pointed out that when he travels abroad, his hosts chauffeur in limousines but get embarrassed when they visit and he is driving a squeaking seven-year old car. “In the plane, I seat in the business class when my colleagues in other countries are in first-class consulting.” Asked by Health Committee chairman Dr. Sam Lyomoki whether he had raised the issues in cabinet, Oryem answered in affirmative. “I have repeatedly told this to cabinet. I swore to always tell the President the truth. I have been a minister for long because I tell him the truth as it is.” The minister of finance, Maria Kiwanuka said she had also received the same concerns and was working out a way on how missions can prioritize their activities. FROM BEING GERMANY AMBASSADOR TO UGANDA TO A PRESIDENTIAL ADVISOR! I find it difficult to believe that Ambassador Klaus Holderbaum would accept an appointment as Presidential Advisor to Museveni. Over the years, President Museveni has received lectures from donors of the do's and don't, and one area has been the ambigous Presidential Advisors who are seen in the lens of many as just increasing the administrative budget and could be avoided. I get concerned to see a former Ambassador from Germany accepting that appointment which some Ugandans who have a feeling for the country could just not take up! The former Ambassador could decide to retire in Uganda, but helping Museveni'a administration is tricky against the background that donor funding to Museveni's Government has played a key role in sustaining him in State House which he should have left at least a decade ago. William Kituuka Kiwanuka HOLDERBAUM APPOINTED PRESIDENTIAL ADVISOR ON TOURISM Former German Ambassador to Uganda, Klaus Holderbaum, was recently appointed as Presidential Advisor on Tourism and Trade, after already serving previously as Advisor to the Ministry of Tourism, Trade and Industry, as it was then known. Holderbaum served as Germanys Ambassador to Uganda between 1999 and 2003 and then retired from the German Foreign Service, opting not to return home to his native Germany but making Uganda his permanent retirement home. Not long afterwards he received his first appointment as advisor to the tourism ministry, renewed at a later stage, and his current job therefore comes as no surprise to those with insight into the workings of Ugandas inner political circles. A member of the Skal Club of Kampala, in his capacity as tourism advisor to the ministry (rtd) and now in his new capacity as advisor to the President, Holderbaum has remained a feature in Kampala, not the least for his towering size which has him stand way above the crowds, though never once looking down on anyone. Like this correspondent, Holderbaum is a Permanent Resident in Uganda, having been granted residency for life, and equally like this correspondent Holderbaum has joined the tourism industry, though after his retirement from the German foreign service unlike this correspondent with 37+ years under his belt in Kenya and Uganda. And in a further coincidence of sorts, Holderbaum too enjoys cooking and creating culinary delights, making for a sound friendship between the two since his arrival in Uganda 13 years ago. Congratulations to Klaus on his appointment and that good fortune may shine on all his does for the sector from here on. ------------------------------------------------------------------------------------- GERMANY CUTS AID OVER DEMOCRACY January 19, 2012 January 19, 2012 - Germany decided to cut its foreign aid to Nicaragua due to the EU’s concerns about serious irregularities in the reelection of President Daniel Ortega last November, according to German Ambassador Betina Kern in an interview with El Nuevo Diario. “We are not interested in who won, rather how the elections were won,” Kern told the daily. Starting next year, Nicaragua will only receive German aid for ongoing water-treatment projects. All other cooperation will be cut. Following Ortega’s reelection, Germany has downgraded Nicaragua’s status from a Group A country to a Group B, meaning it’s no longer eligible for other kinds of aid. Germany is the first country to officially adopt a new policy towards Nicaragua following last November’s electoral process, which was widely decried for being opaque and riddled with nondemocratic irregularities. “The Nicaraguan regime must assume the consequences of its increasingly autocratic form of government,” Germany’s Minster of Foreign Cooperation Dirk Niebel said. The Sandinista government is trying to convince itself that Germany’s decision to cut aid is due to the economic crisis in Europe, even though German officials are making their reasons as clear as they can. Kern said Nicaragua will once again be eligible for aid when it returns to some semblance of rule of law, with judicial independence, free elections and respect for human rights. WHEN WILL UGANDA GET A PRESIDENT WHO GIVES US PRIDE AS OBAMA? FDC IS STILL IN THE CONTEST WHICH THEY WILL LOSE TO FLORENCE NEBANDA ANDIRU! 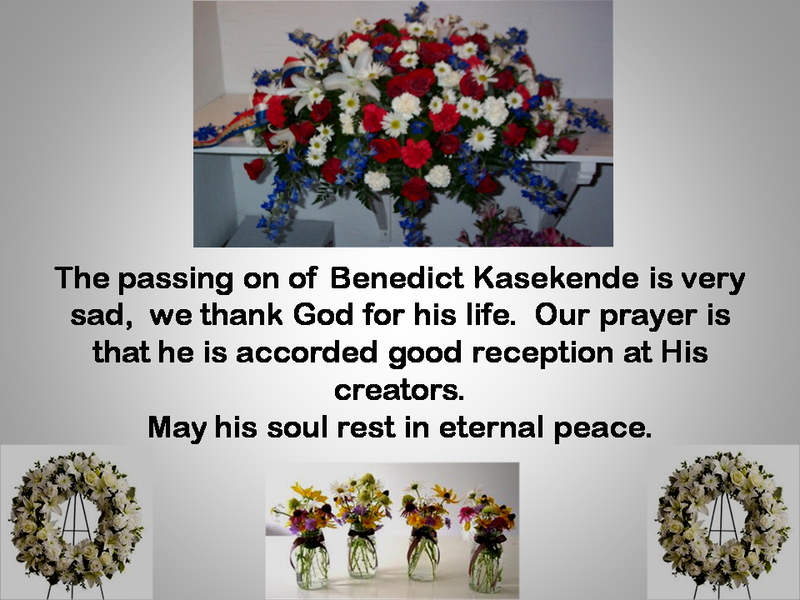 BENEDICT KASEKENDE FATHER TO ENGINEER MARTIN KASEKENDE HAS DIED! 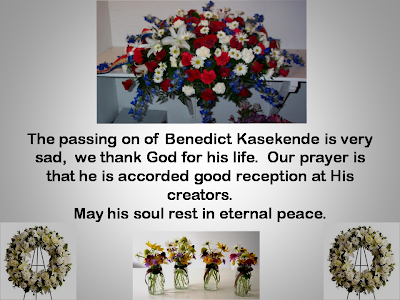 It is sad to learn of the death of Benedict Kasekende, father to Engineer Martin Kasekende; Chairman Buganda Land Board. According to family sources, more so the widow, burial will be on Sunday, 20 January, 2013 at 4pm at Kiteezi. On Sunday 13 January 2013 morning, an abandoned child was delivered to Rebecca a resident of Kawotto in Kajjansi (0783 736300). Those who delivered the child did so on grounds that they believed that the child belonged to a boy who calls Rebecca an aunt. The immediate action by Rebecca as done by Andrew (son of 0772 684533) was to go to the Police Station and report the matter. 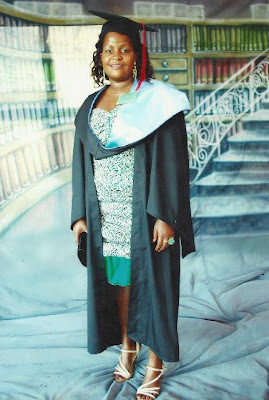 The madam in charge of family matters said that their obligation was to identify a relative and have the child there. She further said that necessary procedures would be handled the following day. 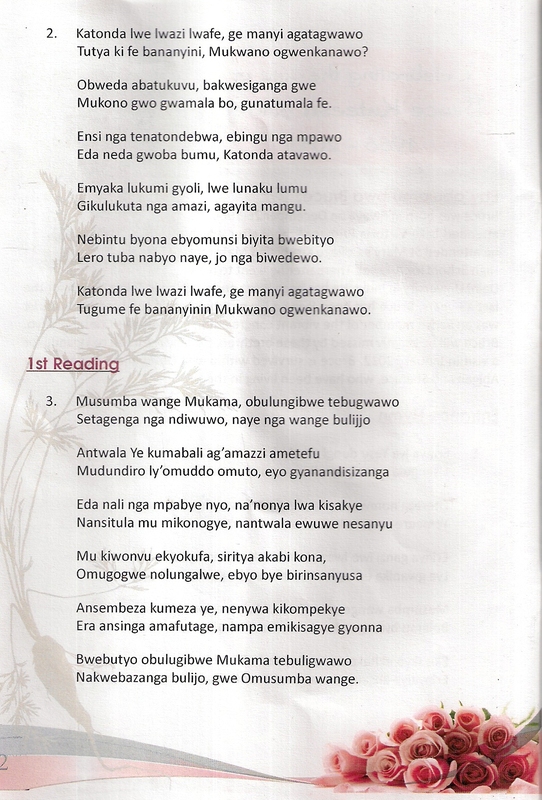 OVER MABIRA DESTRUCTION: MUSEVENI IS LEADING UGANDANS INTO TEMPTATION! IS IT RIGHT TO TRANSFER TEACHERS WITHOUT THEIR WISH? Those in authority in Uganda ought to realize that things are really different on ground. It is like a punishment to transfer a person from one area to another today in Uganda without looking at how it inconveniences him. Many people who are not corrupt cannot survive on what they get as salary or wage, hence do what is possible in form of other employment to survive and take children to school. Unlike old days when Government was paying a living wage, today, it is not only unreasonable to give people transfers anyhow because you think they should transfer. We need people in such sensitive positions to be in touch with the employees like the teachers, be considerate. At least if a teacher has made his/her strategy to survive at a given place, transfers should not be routine, because where you take him may mean his/her children do not go to school. Let us be reasonable in this country. let us stop using power for the sake of it. Let us be in touch with the people and not just make them suffer. William Kituuka Kiwanuka ------------------------------------------------------------------------------------- GOVERNMENT TRANSFERS 1,093 TEACHERS By AL-MAHDI SSENKABIRWA Posted Wednesday, January 9 2013 Weeks after transferring secondary school head teachers and deputies, the Ministry of Education has gone ahead to reshuffle 1,093 teachers in a similar move of trying to improve efficiency in public schools . According to Mr Francis Agula, the assistant commissioner secondary education, the majority of affected teachers have either overstayed in the schools and can longer perform while others do not have the required minimum work load of 24 lessons per week or have social problems. “Some of these teachers were under -loaded –meaning that they teach less than the required lessons yet there are schools with few teachers which need their services,” he said yesterday. Mr Agula said those who contest their transfer with sounding reasons, should report to their new stations and later appeal through their new supervisors. “By doing that, it will be evident that they have accepted the transfer and therefore, we can listen to their complaints,” he said. Background Last year, about 400 classroom teachers were transferred across the country but many continue to grapple with challenges of accommodation at schools where they were posted and a good number of them rent houses far from their work stations thus making them trek long distances to work. Last week, President Yoweri Museveni said his government had not given up on its promise to give decent accommodation to teachers and medical workers across the country and urged them to remain patient. I believe I am a good Christian, BUT when it gets to some people blocking my communication, which I am convinced is my right, then my prayer to God remains one that He strikes them dead. 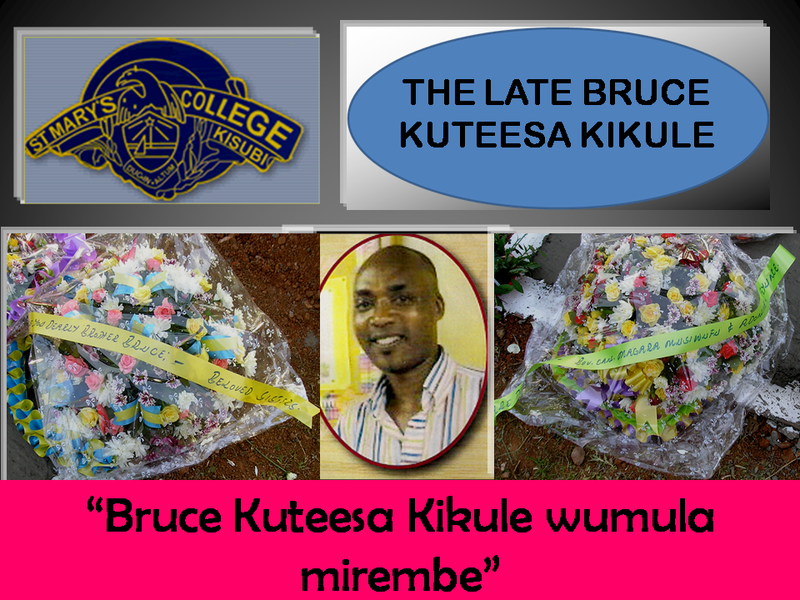 William Kituuka Kiwanuka ---------------------------------------------------------------------------------- COMMUNIATION - AN ESSENTIAL HUMAN NEED Communication represents an essential and very important human need as well as a basic human right. Without having the possibility to communicate and talk to other people, no individual, community, group or any other institution would be able to exist, or prosper. Strictly speaking the ability to communicate or the general right of communication make it possible to exchange opinions, thoughts and meanings. So it enables people to express themselves and show their own points of view. Consequently communication makes people who and what they are and particularly strengthens human dignity. By having the right to communicate and express personal thoughts, ideas, and opinions, people feel themselves treated equally – in other words: Communication validates human equality. Thus the protection and implementation of communication rights represents an essential part of the general topic of human rights. Strictly speaking there exist four central Pillars of Communication Rights. Each Pillar refers to a different domain of social existence, practice, and experience, in which communication generally represents a so-called core activity on the one hand and performs specific key functions on the other hand. The most important point considering the four pillars consists in the fact that each involves a relatively autonomous sphere of social action. So they are extremely necessary in order to achieve communication rights – a fact that means that everybody has the right to communicate about every single topic such as cars, poetry, plissee, music, school, etc. The Four Pillars of Communication Rights are the following ones: Communicating on the Public Sphere: The role of communication and media in exercising democratic political participation in society. Communication Knowledge: The terms and means by which knowledge generated by society is communicated, or blocked, for use by different groups. Civil Rights in Communication: The exercise of civil rights relating to the processes of communication in society. Cultural Rights in Communication: The communication of diverse cultures, cultural forms and identities at the individual and social levels. The Four Pillars of Communication Rights point out very clearly why the right to communicate is important for people in order to live in freedom, peace, justice, and dignity. So the right to communicate can be seen as a means to enhance human rights as well as to carefully strengthen the social, cultural and economic lives of people of different nations, communities, institutions and groups. 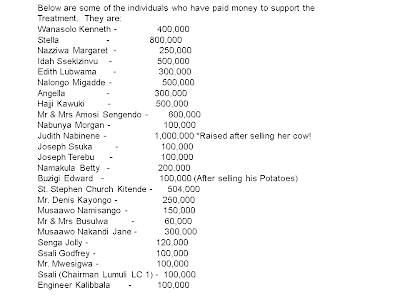 It is not possible for Kazinda to have been able to get so much money without other people moreso senior to him knowing and hence being party to even a bigger loot. It is said that Kazinda's health is bad. The only way some of the people could go away with the loot is when Kazinda ceases to be. Though Kazinda did wrong to the people of Uganda, but it is only the Courts of law that have a right to decide a worthy sentence to him. 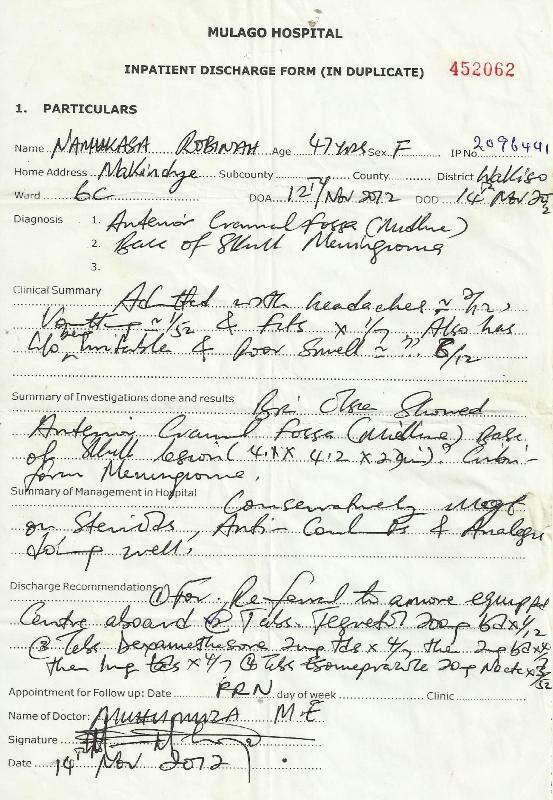 At this time, what the lawyers could do is to get competent Medical examination as Kazinda could be finished off to kill evidence, and the trend od sickness as appears in papers could easily lead to. William Kituuka Kiwanuka ----------------------------------------------------------------------------------- KAZINDA MAY DIE IN COURT By Vision Reporters Geoffrey Kazinda could easily collapse and die in court if he is forced to stand trial in his state of health, the Prisons Doctor Alex Kakoraki told the Anti-corruption Court Tuesday. He said that the interdicted Office of the Prime Minister's Principal Accountant is too ill to stand trial and has been referred to Mulago Hospital for further examination and treatment. "Based on our assessment, I don't think he can stand trial at this point in time. My Lord, I don't want him to collapse before you…," Dr. Kakoraki told Justice David Wangutusi at the Anti-Corruption Court. He added that he cannot say how long this state will take but that the drugs that Kazinda is taking will begin to show results in three weeks. Kazinda is at the heart of the over sh40bn fraud in the Prime Minister's Office over which donors withheld aid from Uganda and the Government arrested him and several of his colleagues from his office, Ministry of Finance and the Central Bank. Several other officials of the prime Minister's Office have been quizzed over the said corruption scandal. 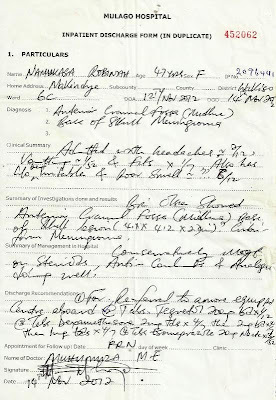 Wangutusi summoned the doctor on Monday to Court yesterday to explain the letter he had sent from Prison saying Kazinda could not appear for the commencement of his trial due to ill health. 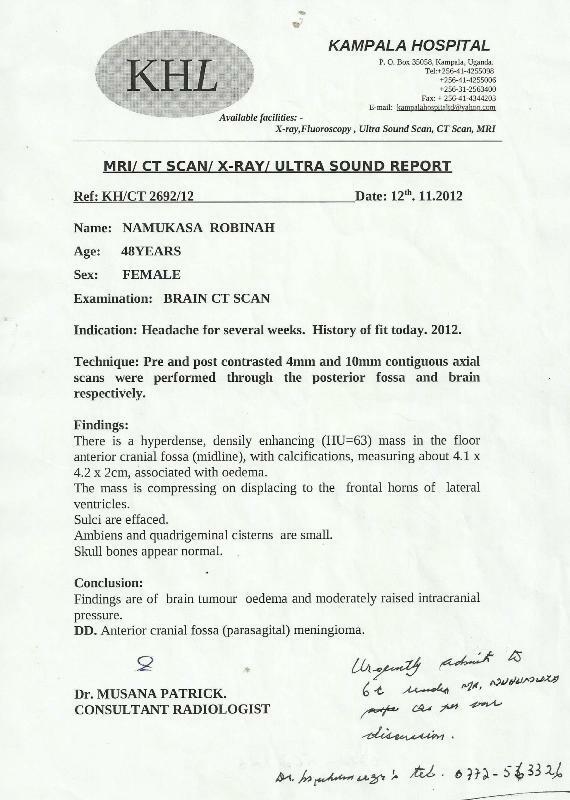 Dr. Kakoraki said that he found that Kazinda had abnormal sleeping habits coupled with incoherent speech. "Attempts to wake him up have not yielded any fruit. If he tries to stand he staggers as if he would fall," Dr. Kakoraki said. 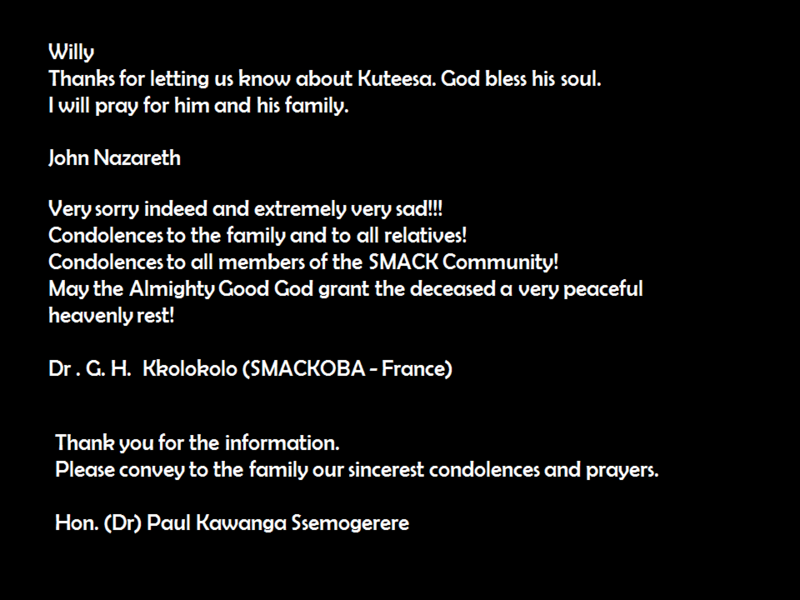 He said that Kazinda's condition prompted him to consult other doctors who found that he was depressed. Depression, he said, is a health condition characterised by sadness and anxiety and negatively impacts on the health and life of the patient. He said that all the basic tests found Kazinda without sickness. 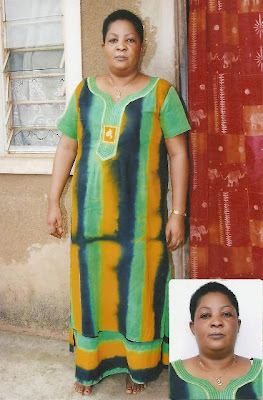 However at Mulago, a hospital staff who preferred anonymity said a diagnosis found that Kazinda had diabetes and goiter (malfunctioning thyroid). Dressed in the yellow prisons Uniform, Kazinda arrived at Mulago's private wing at 9.00 am under tight security by Prisons warders. In the trial whose commencement aborted on Monday, Kazinda faces charges of abuse of office, forgery and making document without authority. Prosecution alleges that Kazinda forged the signature of the Permanent Secretary in the Office of the Prime Minister (OPM) Pius Bigirimana between January and July 2012 intending to use it for fraudulent purposes. 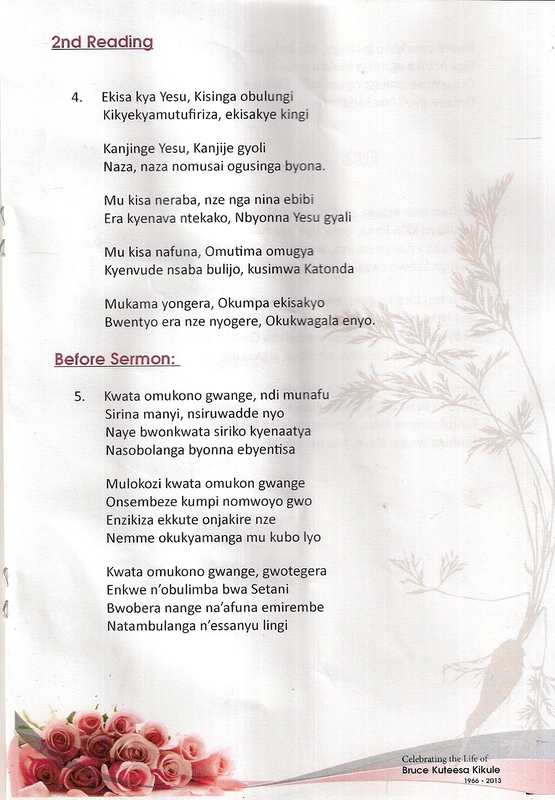 He allegedly also made computer generated serial numbered letters purportedly on Bigirimana's account. According to prosecution, Kazinda kept at his private residence, the forged computer generated letters and cash withdrawal authorization forms bearing the forged signature. Kazinda also faces separate charges of embezzlement, false accounting and conspiracy to commit a felon jointly with a number of other officials he worked with in the OPM. Fifteen witnesses have been lined up to testify in the case. The case was adjourned January 29, 2012 for mention. 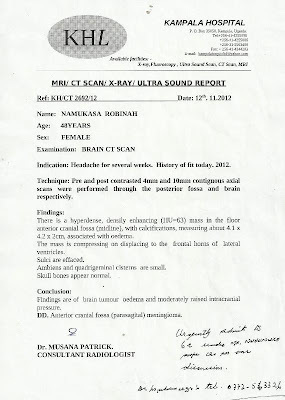 A few months ago, Robinah Namukasa was diagnosed with a Tumour as per the documents above. She needs to travel to India for treatment. 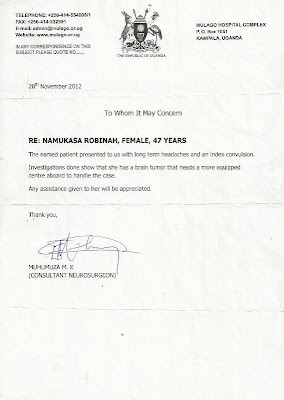 However, Robinah has no funds and what she is doing is to fund-raise to be able to get the treatment which is overdue. 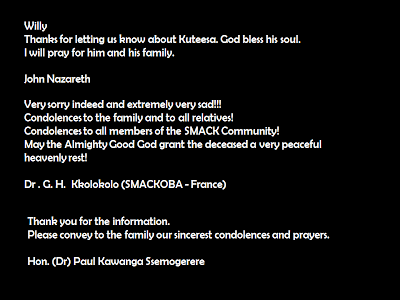 The purpose of this communication is to kindly appeal to all of you who can give some assistance to help. Robinah is now at home and has meetings on Thursdays where she resides near Calendar Guest House - Makindye Kirundu Zone. The meetings have so far realized shs 11m and she is targeting about shs 40m, meaning that she still has to raise 29m in the shortest possible time in an attempt to see her life saved. 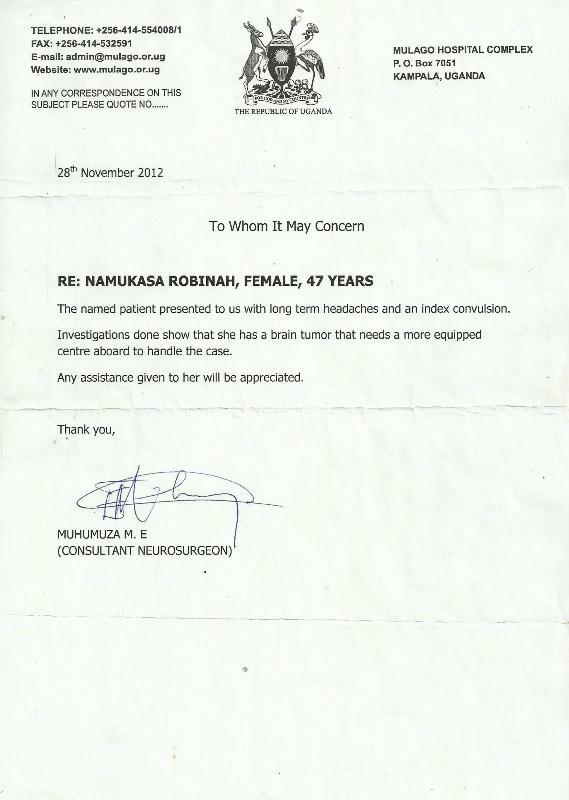 Dr. Muhumuza of Mulago is the Consultant who is attending to the patient. Donations can be deposited on A/C No. 206200002891 in Finance Trust Bank - Katwe Branch (Kampala) in the name: Robinah Namukasa. She also has Mobile Money on Tel. No. +256 782 465464 Her efforts to see the amount raised have led to a decision to look for a buyer for a piece of land whose title is being processed. The land 100ft X 100ft is found in Ssisa Sub- County, Wakiso District at Lumuli near Hossana Estate. 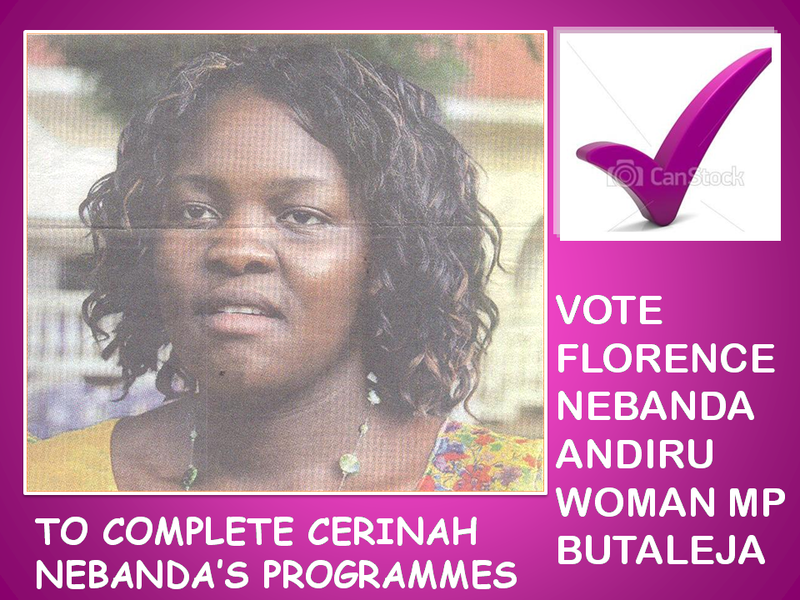 IT IS HARD TO IMAGINE WHAT NEBANDA'S FAMILY GOES THROUGH AS MATTERS TURN TO MOVIE SCENES! UGANDA WILL NOT BECOME AN OPEN DICTATORSHIP IN 2013 SINCE IT IS ALREADY ONE! 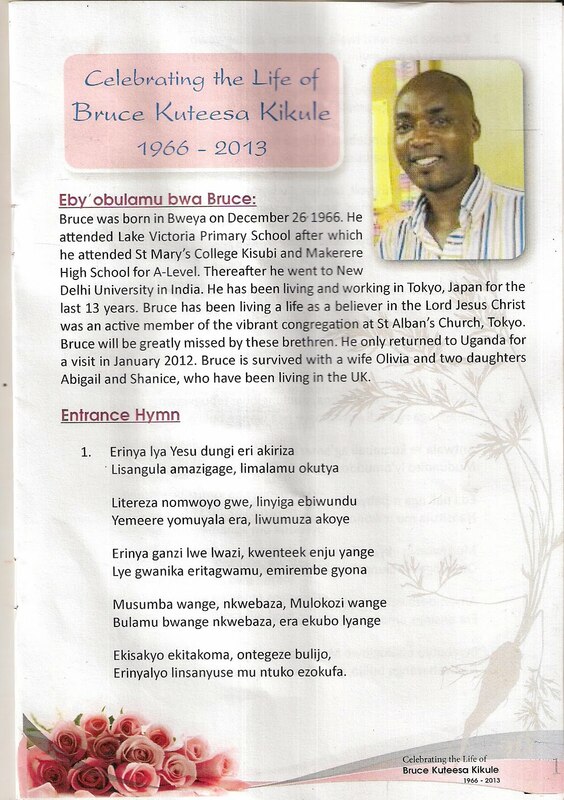 BECAUSE MUSEVENI WENT TO 'HUNT HIS ANIMAL' UGANDANS ARE PAYING THE PRICE! IT IS SAD THAT MUSEVENI CAN NO LONGER FIT IN THE SHOES OF A MODERN LEADER! TRAFFIC POLICE SHOUD GET A PERCENT OF THIER COLLECTIONS As we enter the year 2013, we must accept that we have great loss in the name of Road Carnage, and something can surely be done about this. The causes of traffic accidents in Uganda among others include: 1. Bad roads - currently along Jinja highway, a number of heavy trucks can be seen by the road side simply because of the weather (rain which makes the road side slippery); 2. Human error is a major cause of accidents; 3. Drunken driving; 4. Vehicles in poor mechanical condition; 5. Drivers who have not passed the drivers' test; 6. Driving under the influence of drugs; 7. Driving while on mobile phone; 8. Dangerously loaded vehicles. 9. Not respecting road signs; 10. Overspeeding; 11. The boda boda factor; The Traffic Police can play a crucial role in the reduction of accidents if they are given an incentive that may boost their income, that is getting a percentage of the Penalty Fines they give to motorists who don't observe the rules. It is a fact that the Traffic Police get money from motorists. When you are in some taxi's, you see the driver instructing his conductor the amount he has to pay to the traffic policeman. When this amount is paid, the errors on the vehicle are not handles, the next time, the vehicle is involved in some accident. 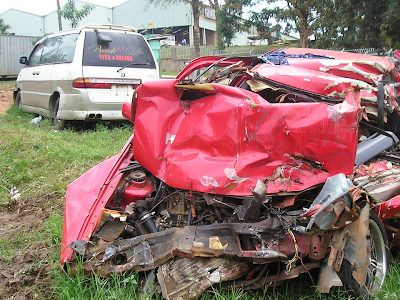 The burden for caring for those affected by death and disability grows at a big rate in Uganda due to the road accidents. 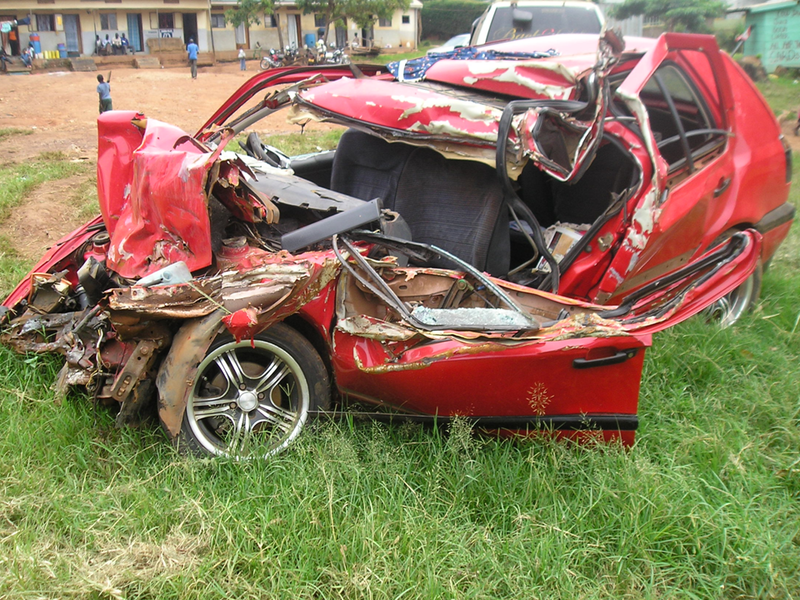 William Kituuka Kiwanuka Road Carnage Kills 2,954 persons in Eastern Uganda Drunken Driving key recipe to soaring accident rates in Uganda Close to 3,000 people in Eastern Uganda died in road accidents in 2010. 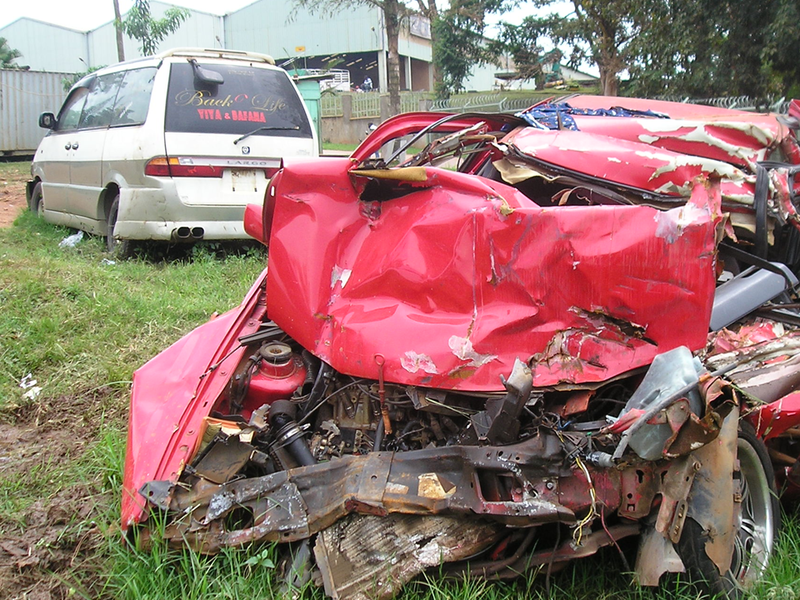 The 2010 traffic report released recently By Kale Kaihura, the Inspector General of police shows that a total of 22,461 accidents occurred in eastern Uganda. Of these accidents, 2620were fatal, 9,866 were serious injuries, and 9,975 were minor accidents. Drunken driving has become a serious national concern, as road carnage statistics continue on an upward trend. 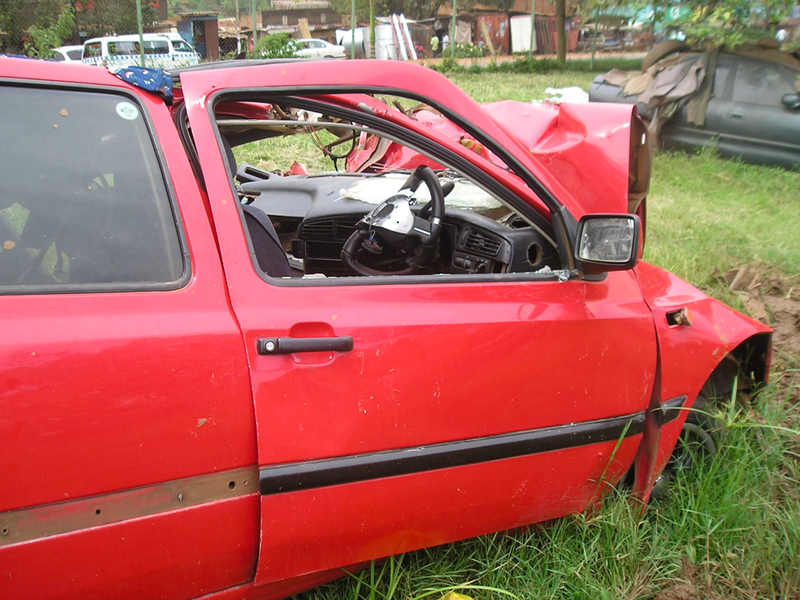 About 42 percent of the accidents in Eastern Uganda are blamed on drunken driving while reckless driving causes 29.3 percent. Kaihura noted that the police have put in place strategic steps aimed at involving passengers, local leaders, and inspectorate of vehicles, drivers, transport managers, police and owners of the vehicles in the efforts to restore sanity on the roads.